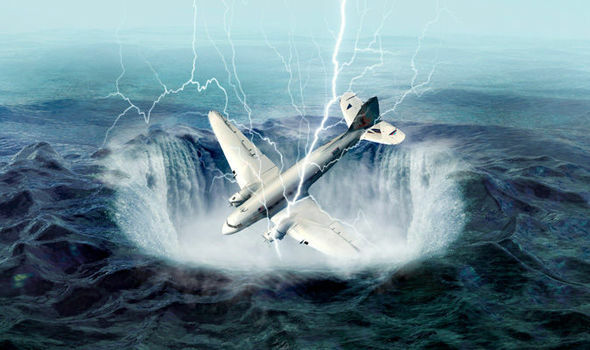 The Bermuda Triangle is an area in the North Atlantic Ocean loosely bordered by Florida, Porto Rico and Bermuda. The Bermuda Triangle is a heavily travelled shipping area. According to the Express, The disappearances in the infamous region has repeatedly been blamed on the paranormal. Most official and reputable sources cite the waves and the wind currents as the cause of the unsolved mysteries. The name was first given to the region in 1964 by Vincent Gaddis in a news article. The up to half-mile-wide and 150ft deep craters in the Barents Sea are thought to have been caused by a build-up of methane. According to the scientists, Methane is likely to have leaked from deposits of natural gas deeper below the seabed, then created cavities which eventually burst, once the pressure gets too high.